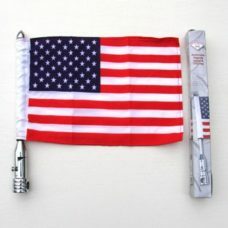 Solar Beacon Light Multi-Color Flashes Red, Green and Blue for the top of your flagpole. Solar Beacon Light Multi-Color for the top of your flagpole. Fits most fiberglass flagpoles. Just remove the chrome ball topper and insert the flagpole adapter into the flagpole. The adapter will hold the swivel rubber ring “B” in place also. This solar beacon light is one of our best selling solar light. Our customers love this light. Solar Beacon Light Multi-Color for the top of your flagpole. 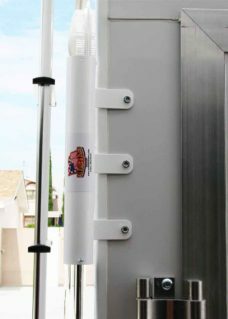 Solar Beacon Light Multi-Color for the top of your flagpole. 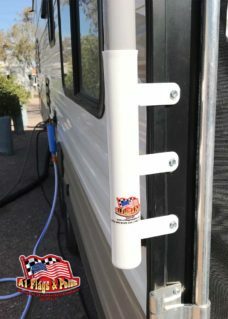 Great for RV’s!!! Fits most fiberglass flagpoles. 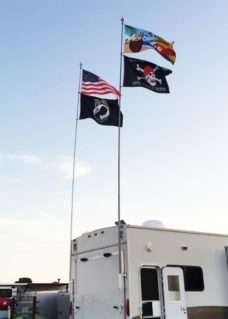 Just remove the chrome ball topper and insert the flagpole adapter into the flagpole. The adapter will hold the swivel rubber ring “B” in place also. This beacon light is on of our best selling solar light. Our customers love this light. 4 reviews for "Solar Beacon Light Multi-Color"
I love being able to find my trailer with this awesome light and they have great customer service! Hey friends: this “beacon” is a must. It has been the light back to our rig in the crowded park so many times at night and a great focal point for your friends to find you. Beautiful colors – so clear at night from quite a ways away. We own one for each pole….